Miscellaneous : Redmi Account Remove (Fastboot),full modem.img,Flash boot,Flash Recovery,Siload update.zip,Flash System,Factory Reset (ADB),Factory Reset (Fastboot). 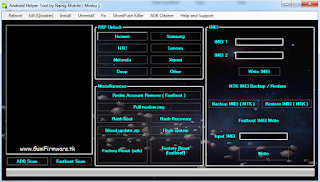 IMEI : Write IMEI (IMEI 1,IMEI 2),MTK IMEI Backup and Restore,Write IMEI (Fastboot). Welcome to my site Backlinker...!